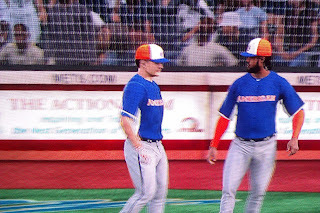 What you get when you watch baseball is a glimpse of a world comprised of strangely sideburnsless dudes who could tell you exactly what to look for out of a sinkerballer on a 1-2 count with the same craftsman’s helpful tone of authority as a hardware store clerk telling you about grout mixtures. The world needs these dudes just to exist and not be hysterical about everything. We are baseball guys. We play baseball. Some of us know how to play the acoustic guitar. We like hiking and hunting and fishing and exercising. We eat steak. We drive trucks. We live in the suburbs in one of the big houses. We wear Crocs and athletic sweatshirts that say “Property of” on them. Our wives are blonde. Listen to our at-bat music. It is Nickelback. We keep our sunglasses on the backs of our heads. Some of us are funny. Some of us are quiet. Some of us are very religious. Some of us are meanspirited alcoholics. All of us play baseball because it’s better than selling HVAC systems to hospital development contractors, though we’d probably be okay with that too. We’re okay. We’re not worried about the apocalypse. We’re out here in the big green grass all summer long because this is what life is supposed to be like. That kind of a thing. It’s comforting. 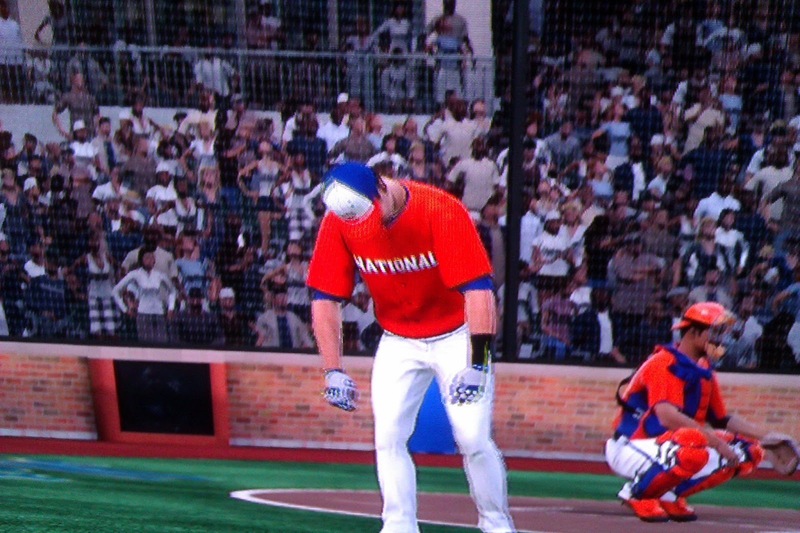 And this is why MLB 13: The Show is so much fun. 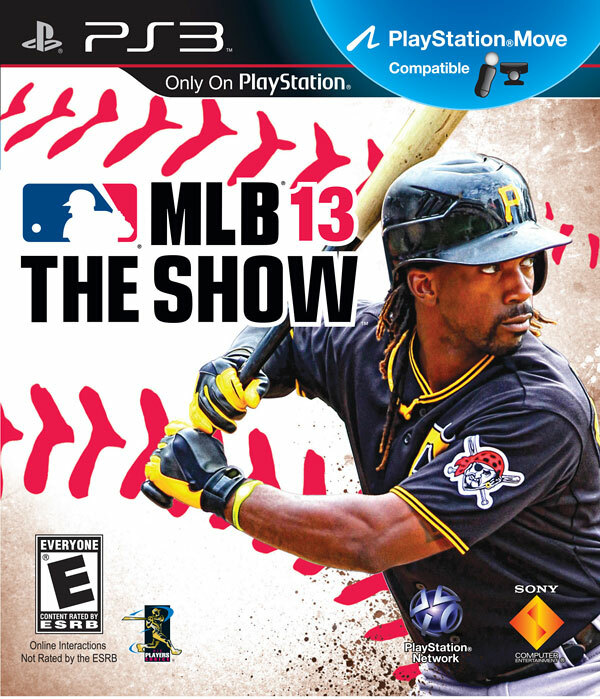 It’s not just that the technology has arrived to make a video game look and feel like an ever-closer simulation of baseball’s look and feel. It’s also that the simulation is of baseball, and baseball is a simulation of a reality that need not be questioned because as far as its adherents are concerned it is already correct. 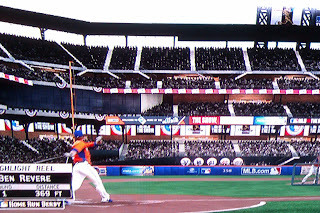 The result is when you do something stupid and impulsive in the video game like force scowling Nationals shortstop Ian Desmond to bunt on an 0-2 pitch with two outs and nobody on, just because you can, you are rewarded with a strangely accurate simulation of that far-fetched reality. The video game offers a reasonably accurate facsimile of Ian Desmond shaking his head as he gives his helmet and batting gloves to the first base coach, as if saying to himself “Well, I knew that was a stupid idea and I was right.” Making a fake but plausible Ian Desmond visibly mad at himself is a very petty but satisfying form of hilarity. Real Ian Desmond is a little too intense out there. This is probably the one attribute I enjoy most about video games: you get to create and live in these little strange unrealities. There are infinite cute little cognitive dissonances to forge and inhabit. Sometimes the game provides the unreality for you. For example, in their effort to pencil in as detail-oriented a world as possible, the programmers of MLB13: The Show made the batters act frustrated and petulant after a strikeout. 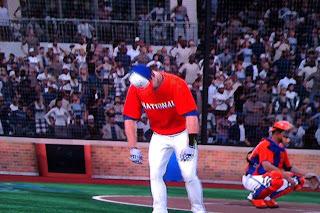 So when I play as my beloved Nationals and notable stoic Adam LaRoche acts uncharacteristically huffy after a K, my immediate response is to hope he’s okay. 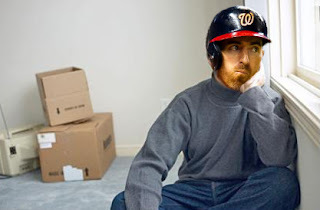 Because of the way this game is programmed, I assume that Video Game Adam LaRoche is going through a nasty divorce and is a little close to the edge. Real Adam LaRoche would never act like that after a strikeout unless he was under incredible stress. I enjoy inventing these narratives. Video Game Adam LaRoche is playing out the 2013 season while crashing in an unfurnished extended stay hotel out in New Carrolton, drinking heavily and crying while re-reading an old Field & Stream on the toilet. Some realities you create on your own. 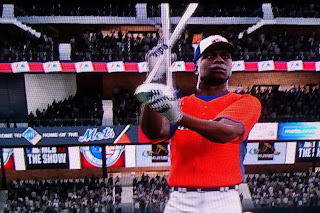 My new favorite thing to do is the Ironic Home Run Derby. 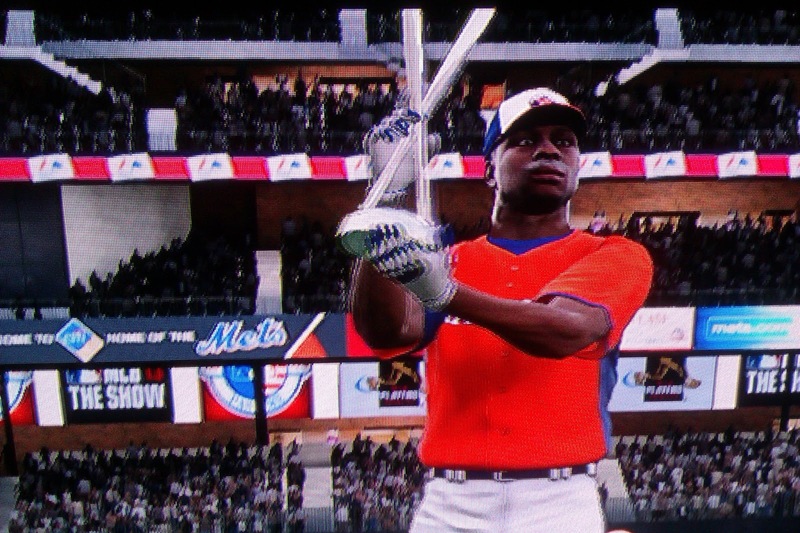 The game has a side program where you can recreate the All Star Game’s Home Run Derby using whatever players you want. It’s fun to see how far you can make Video Game Giancarlo Stanton hit a baseball. 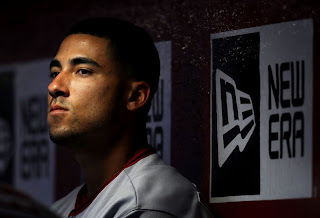 But: you may choose the likes of Jamey Carroll and Juan Pierre and Jemile Weeks and Ben Revere, powerless contact/speed and defensive wizard types for whom “will they be able to hit a single home run in a batting practice setting” becomes a legitimately suspenseful proposition. It’s so suspenseful that apparently it merits a sold-out crowd at 41,000+ capacity CitiField in Queens, New York. Philadelphia Phillies outfielder Ben Revere has never hit a home run in his major league career, spanning nearly three years and over a thousand plate appearances. So I can maybe understand why 41,000 New Yorkers would want to see if he could squeak an opposite fielder around the left field foul pole. I mean, if the tickets were free. But yeah, that is a LOT of people attending an Ironic Home Run Derby in order to laugh at some guys who aren't great at hitting home runs. Sure, it’s stupid. But it’s an alternate reality which thanks to this video game you can spare yourself 90% of the difficulty of imagining. And it is rich and detailed and only just slightly wrong in a way that makes it better. If you’re into that kind of a thing and you’re not particularly likely to get laid anyway, I’d recommend it.